What Will It Take to Eradicate Mumps? Mumps isn't a trivial infection because it can lead to sterility. How can we end these outbreaks? Measles: Will It Take a Death to Get Kids Vaccinated? Paul Offit argues that it's unconscionable to let unvaccinated kids get and transmit measles and other vaccine-preventable diseases. The Overwhelming Safety of the HPV Vaccine Why has one of the most well-studied vaccines in history been unable to dispel fears about its safety? Vaccine Science Taken Hostage? 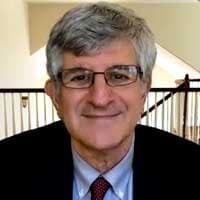 Paul Offit Responds Paul Offit responds to a column in the New York Times that claims there is a 'conspiracy of silence' among vaccine scientists about the harms of vaccines. FluMist: Flu Vaccine Option or 'Last Resort'? Dr Paul Offit discusses the 'new, improved' FluMist and clarifies competing recommendations for its use. Why Are Vaccination Rates Lower Among Kids With ASD? Children with autism, and their younger siblings, have lower vaccination rates than other children, placing them at risk for vaccine-preventable disease. The Vaccine Education Center at The Children's Hospital of Philadelphia provides accurate, comprehensive, and up-to-date information about vaccines and the diseases they prevent. Through its Web sites, videos, informational tear sheets, e-newsletters, webinars, mobile app, and other programs, the Center seeks to explain the science of vaccines and dispel common misconceptions and misinformation surrounding them.